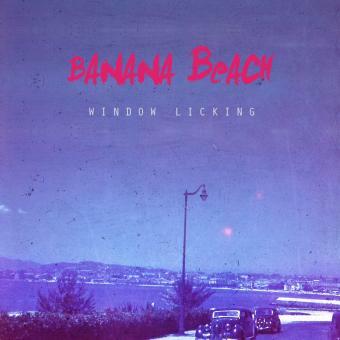 Banana Beach is an experimental pop quintet out of Stockholm, Sweden, just done independently recording their debut EP titled ‘Window Licking’ in an office on an abandoned floor inside a factory complex, situated in the industrial southern suburbs of the Swedish capital. Banana Beache not being very present around these parts, the yearning for change and happiness can certainly be heard through every track on the EP with the title deriving from a French expression for window shopping. From back to front the band consists of a dynamic drumming-duo, where Niklas Eriksson maneuvers the old-school beat-machine and Mikael Goldberg the electrical one, creating a wide spectrum of rhythm led to shore by bass-guitarist Alexander Buultjens, who together with rhythm-guitarist Peter Berg also gives vocal support to the lead-singer and guitarist Björn Kaplan.